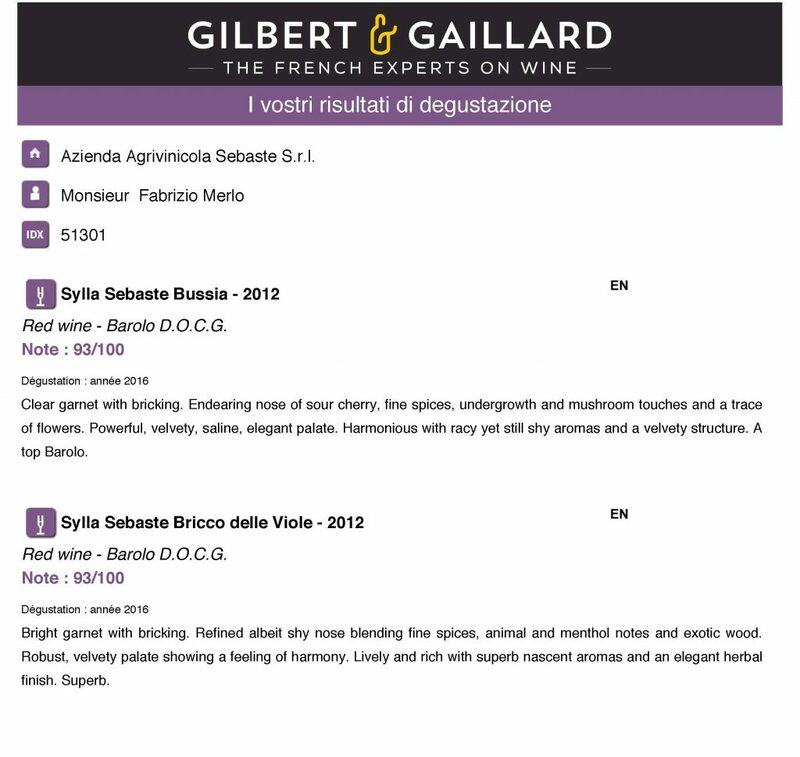 A great result comes from French country about the new vintage 2012 of Sylla Sebaste Barolo crus: Bussia and Bricco delle Viole (single vineyards of Nebbiolo for Barolo) attain two great golden medals from the important international Guide of Wines Gilbert & Gaillard. Gilbert & Gaillard began their joint carreer in publishing in 1989 as directors of a collection for Presses de la Cité, a majorpublishing house in Paris. In 1991, they began to publish their own wine guides and magazines about wine. Today they head a multimedia group dedicated to wine that has offices around the world. Philippe Gaillard was born into a winemaking familiy in Touraine in the Loire valley. He studied winemaking and oenology and later became the sales director of a major french wine distributor. François Gilbert has a PhD in Geography and i a specialist in viticulture. He was a professor for 15 years before devoting himself to his passion for wine. 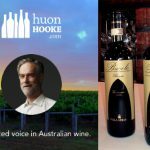 “Our vocation – they told – is to promote and advocate quality wines reflecting sense of place and the craftsmanship of passionate men and women”. They are the only French wine tasters to use international standards for their tastings – the wines are scored out of 100. 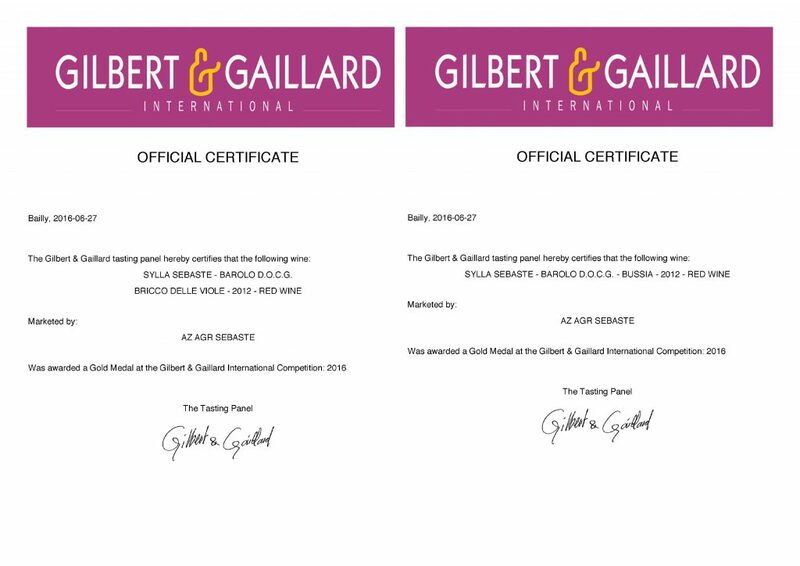 The tastings are designed to select wines for Gilbert & Gaillard wine guides and to award medals for their international competition. The international tasting panel is chaired by Philippe Gaillard, François Gilbert and Sylvain Patard, the panel is formed of a permanent team of French and international profesionnals to ensure continuity and consistency of the tastings in compliance with Gilbert & Gaillard specifications. 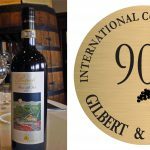 This prestigious panel award Barolo Bussia and Barolo Bricco delle Viole Sylla Sebaste with an important score: 93/100 for both the wines. 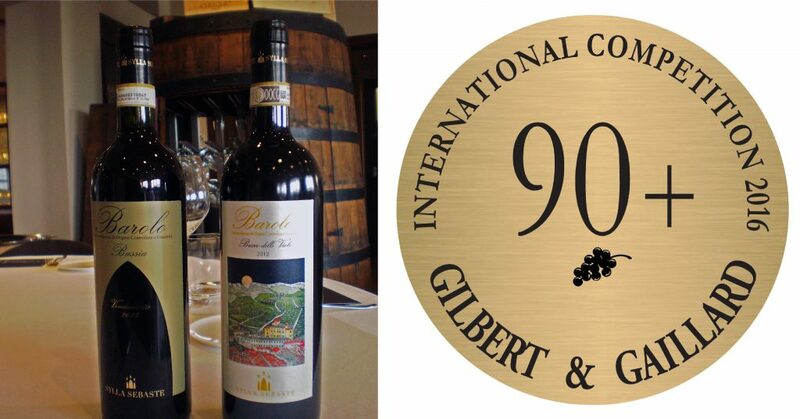 This score allow to both Barolo to gain the two important golden medals. 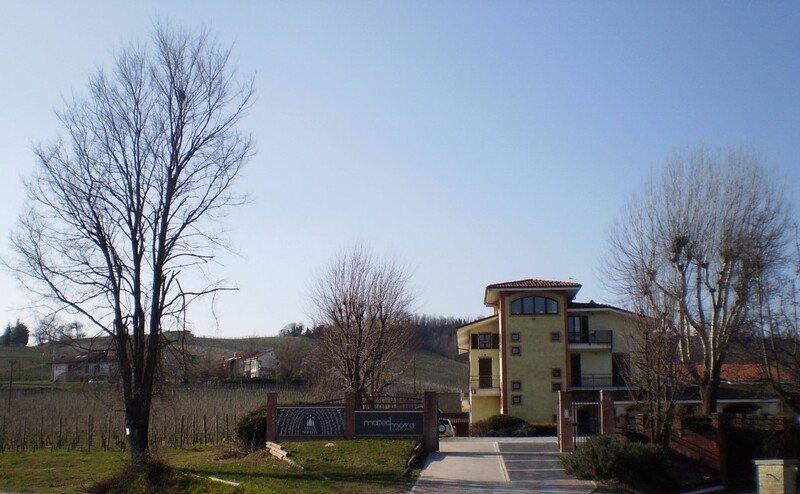 If this result confirm the quality of Barolo Bussia is more important for the Barolo Bricco delle Viole (Peaks of Violet), a vineyard o Nebbiolo for Barolo in the Vergne hamlet in Barolo village, nearby the winery Sylla Sebaste (at the left in the photo). 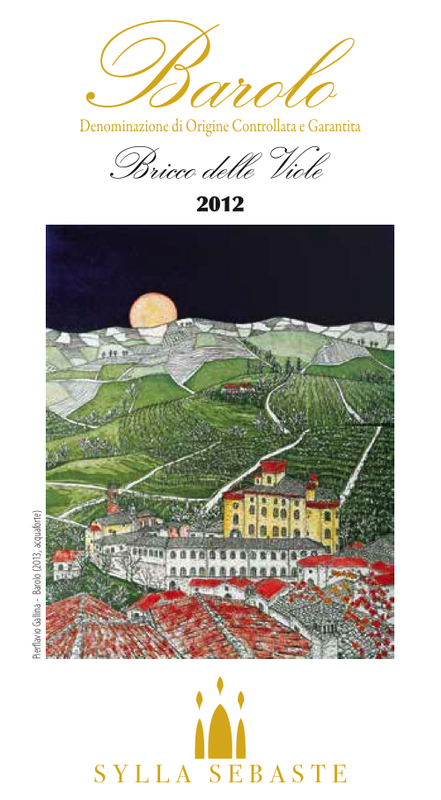 The 2012 is indeed the first vintage of production of this wine, celebrated with an artistic label of Langa Heritage Unesco. 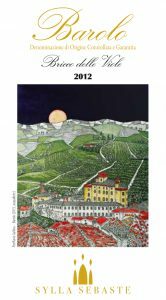 The label of Pierflavio Gallina was selected by the Sylla Sebaste winery to celebrate this new Barolo grand Cru which will be released only in 2016: the Bricco delle Viole. 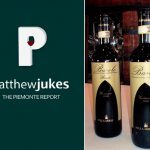 A renowned Additional Geographical Mention in the town of Barolo, it owes its etymology to a wine previously produced by Sylla Sebaste, a blend of Barbera and Nebbiolo, which inspired the eponymous street in the Vergne hamlet and then the subarea. 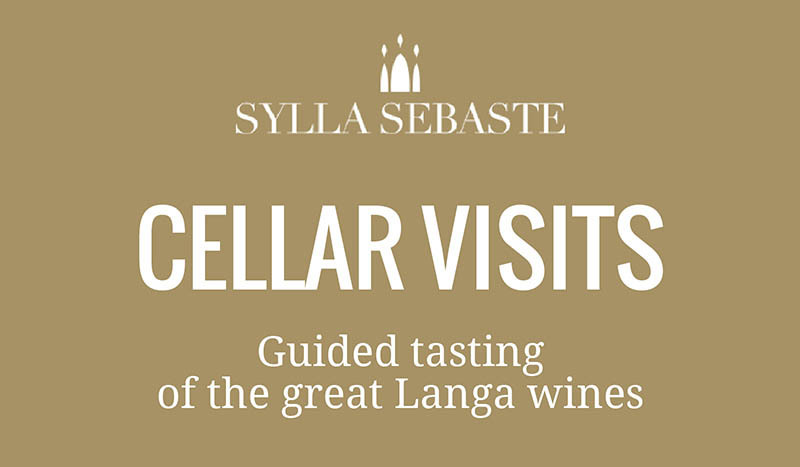 Located along the ridge leading from Novello to La Morra, in the Vergne hamlet of the town of Barolo, the Sylla Sebaste winery produces fine-quality, classic Piedmontese wines on the hill of San Pietro delle Viole, where the homonymous chapel dating from the fourteenth century is found. «We will make this Barolo only in the best vintages, with the same cold maceration wine-making methods used for the prestigious French Pinot Noir» says Fabrizio Merlo, who along with his family has owned he winery for 15 years. «We carry out a cold on-skin grape maceration at 5Co for 3-4 days – says the winemaker Luca Caramellino – This is done before allowing for a free temperature fluctuation for the subsequent alcoholic fermentation (in oxygen reduction) for 10 days, after which comes the racking and aging in casks of 25 hl for three and a half years». 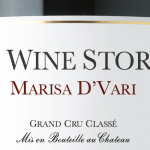 These techniques allow for an optimal preservation of the aromas and flavors typical of this Cru, which has a lighter structure than others, but a great aromatic richness. 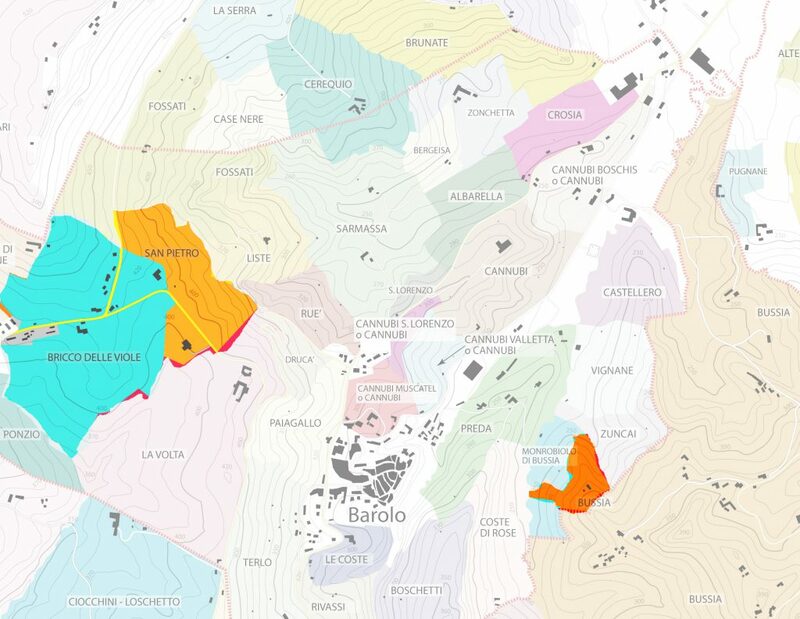 The Bricco delle Viole is the newest addition to the historical Barolo Bussia of Sylla Sebaste, the only winery to produce it from an appendix of this Cru in the town of Barolo.